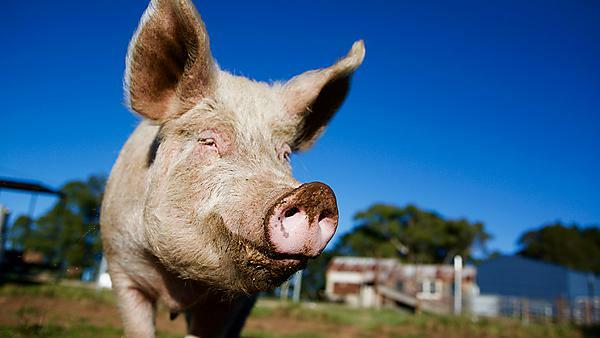 University of Plymouth researchers have received over £700,000 to combat an emerging antibiotic-resistant disease able to jump from pigs to humans with potentially fatal effect. The Vaccine Group (TVG), a university spinout company founded by Dr Michael Jarvis, will use the grant from the Department of Health and Social Care (DHSC) to develop a vaccine to prevent the spread of Streptococcus suis (“S.suis”) – which can cause infections of the brain lining, meningitis, blood poisoning, or septicaemia, as well as many other serious diseases in humans. As part of the consortium, Professor Mat Upton, Associate Head of the School of Biomedical Sciences, will identify targets for the new vaccines being developed by TVG. Incidents of S.suis have been rising globally and in Asia it is now classified as an emerging threat. S.suis is currently treated with antibiotics, but there is growing evidence that it is becoming resistant to them. Effective vaccines remove the need to use antibiotics in animals. Administered by Innovate UK, the project will develop TVG’s novel herpesvirus-based platform technology to create a single-use vaccine for use in pigs. The vaccine technology is based on safe forms of herpesviruses, which occur in nearly all animals, including humans. The vaccines are created by modifying these viruses through inserting regions of the pathogen (i.e. harmful microorganism) being targeted to stimulate immune responses against the disease. The work will be undertaken with Chinese partners, including the Shanghai Veterinary Research Institute at the Chinese Academy of Agricultural Science, and the Shanghai Jiao Tong University. A major producer of swine and poultry vaccines, the Pulike Biological Engineering Company, is the commercial partner. TVG was founded by Dr Michael Jarvis, Associate Professor of Immunology and Virology at the University’s Institute of Translational and Stratified Medicine (ITSMed), alongside the University’s intellectual property partners, Frontier IP. Because the resulting vaccine is herpesvirus-based, it has the potential to spread from animal to animal. Once a critical mass of animals is immune due to infection with the vaccine, the zoonotic disease (ie one which can transfer from animals to humans) no longer poses a danger to humans. A review by economist Lord O’Neill estimated that AMR caused 700,000 deaths each year globally. “Vaccination to control bacterial diseases has been shown to be really effective in the fish industry, and it does this without increasing bacterial resistance to antibiotics (AMR). We’re therefore very excited about the opportunity this grant gives to expand this approach to a major bacterial disease of pigs that is increasingly being spread to humans. “AMR and emerging infectious disease are global problems, and this grant also demonstrates the strength of bringing together scientists and stakeholders from across the globe to address common societal issues. “As mentioned in the recent UK Government five-year National Action Plan on AMR, reduction of antibiotic use in humans and animals will be a key part of addressing the threat posed by AMR.